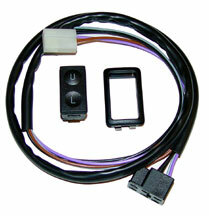 Includes an illuminated door lock switch with wire harness. Easy plugin connection to the SPAL power door lock kits. You'll need one switch for each door.